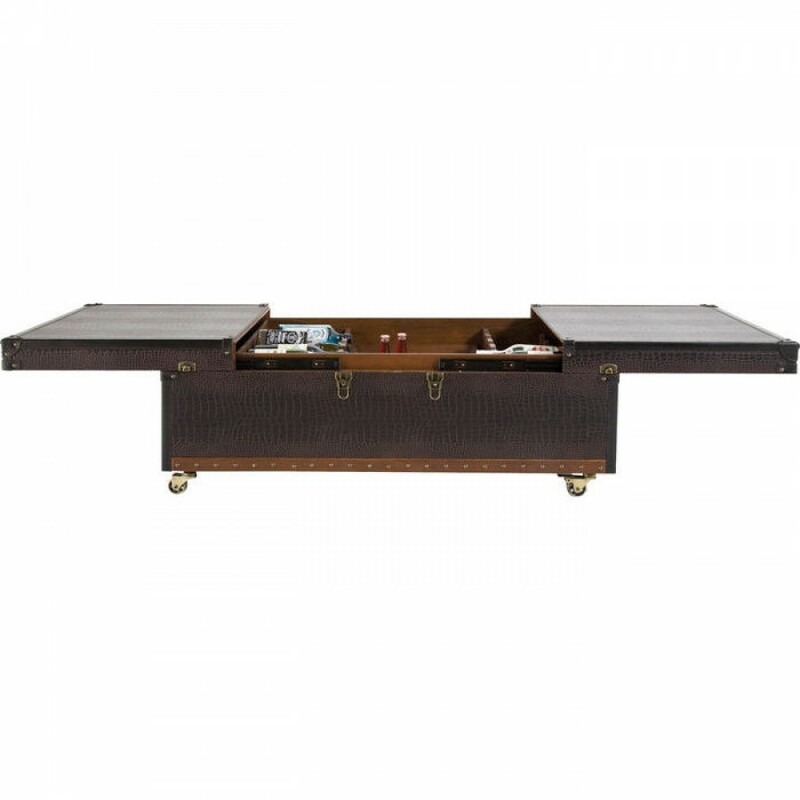 An attractively designed coffee table with an interesting interior – Our Bar Colonial offers more than meets the eye: treasures of all kinds can be stored in its capacious interior. In other words everything you need for an enjoyable evening. With space for 12 bottles (lying down), additional storage space and a removable tray. Attractive, sophisticated and practical - the Bar coffee table is a real favourite in the chest style with lots of details and a great interior. Dimensions when extended: 200 Other versions also available.